What is Creative Lab Hawaii? Creative Lab Hawaii is a State of Hawaii program composed of three separate modules: Immersive Programs, Ideation Workshops, and Public Programs. Their intention is to accelerate global export of Hawaii’s creative content and creative products to strengthen our creative entrepreneurs’ capacity for success. Founded in 2012 by the State of Hawaii’s Creative Industries Division, Department of Business, Economic Development, and Tourism (DBEDT), Creative Lab Hawaii provides a rich environment for creative collaboration and building new business relationships with a global audience. 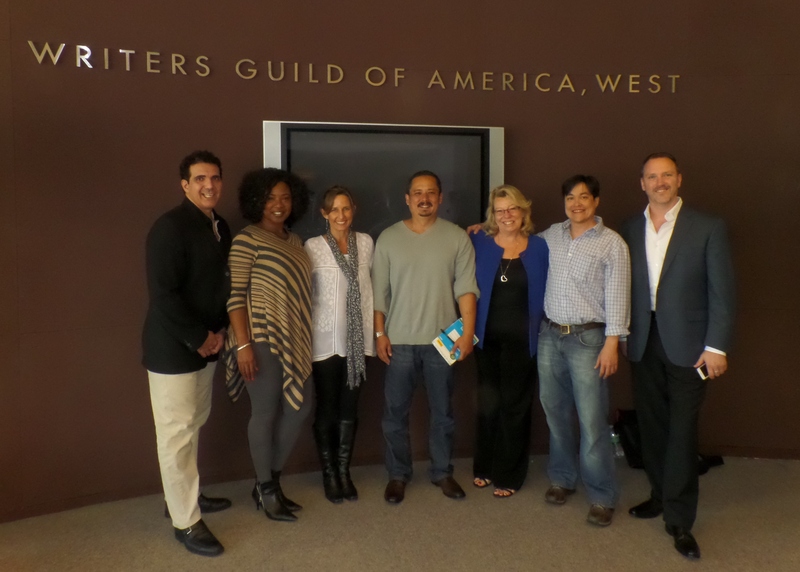 CLH offers public panels, workshops, and hands on coaching and mentoring by industry leaders in areas of Screenwriting, New Media, Broadband, Producing, Directing, Songwriting/Music, Technology, the Business of Acting, and Design/Fashion. The CID/State of Hawaii, CLH includes strategic partnerships with Writers Guild of America, West (WGAw), Producers Guild of America (PGA), Screen Actors Guild-American Federation of Television and Radio Artists (SAG-AFTRA), International Game Developers Association (IGDA), Film Offices of the Hawaiian Islands (FOHI), The Cut Collective, Secret Road, Hawaii Songwriting Festival and the High Technology Development Corporation (HTDC). And sponsors The Modern Honolulu Hotel and Arthur’s Limousine. Funding for CLH is provided by the Hawaii State Legislature, DBEDT and the U.S. Economic Development Administration (EDA), U.S. Department of Commerce. Immersive programs are offered to selected qualified applicants in six high growth clusters: Broadband/New Media; Producing; Screenwriting; Interactive Media; Music; and Design/Fashion. Broadband/New Media Immersive: A track for those whose primary distribution outlet is the Internet. Individuals are coached in writing, producing, marketing, and monetization of their content for web and mobile platforms. Producing Immersive: A track focused on the opportunities and skills needed to navigate today’s multi-platform media landscape in film, television, mobile, and online media. Screenwriting Immersive: A track for writers in all genres to develop new content for motion pictures, television, and broadband (web series). Participants receive coaching on script writing and taking projects to market on multiple platforms. 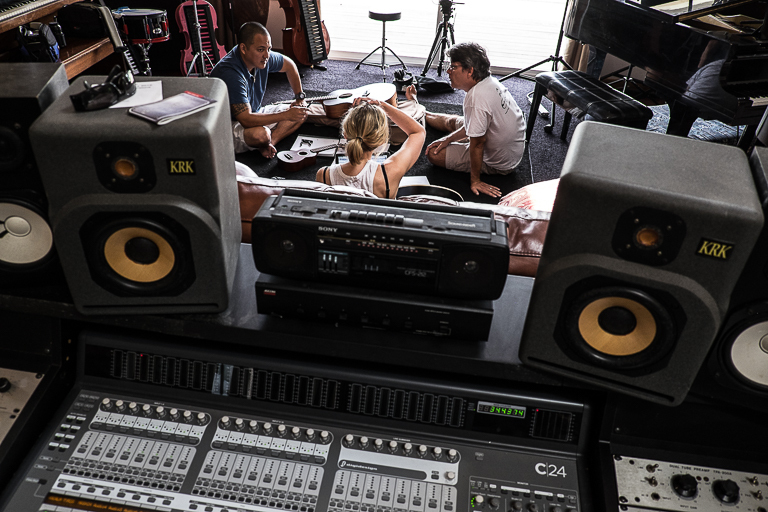 Music Immersive: A track focused on the development of new musical works for the theatre, stage or screen e.g., songwriters, librettists, musical theatre and new opera development. This program is currently being developed and has not yet been launched. Design/Fashion Immersive: A track where participants work with established professionals in the fashion industry from concept to fabrication. Together they work to overcome everyday challenges in manufacturing, printing, product placement, and so on. ** NOTE: This component is being developed and supported in concert with the State of Hawaii DBEDT’s High Technology Development Corporation of Hawaii (HTDC). Ideation workshops target entrepreneurs in early stage project development with the goal of building the pre-requisite requirements for Creative Lab Immersive programs or other relevant accelerators. 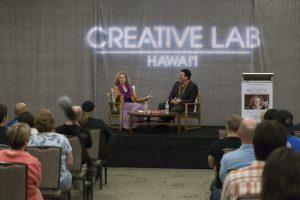 Creative Lab Hawaii public programs, a collaboration with various industry partners, offer free panels and workshops by industry professionals in the areas of screenwriting, broadband, new media, producing and music and design/fashion. For more information, please go to our Creative Lab Hawaii Webpage. For updates on Creative Lab Hawaii and upcoming application information, subscribe to our mailing list! … and you can always keep up to date at Creative Lab Hawaii Facebook page!